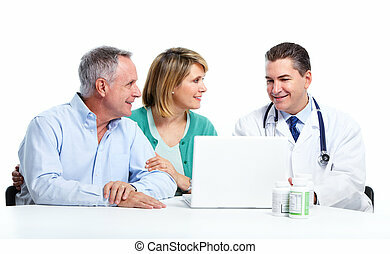 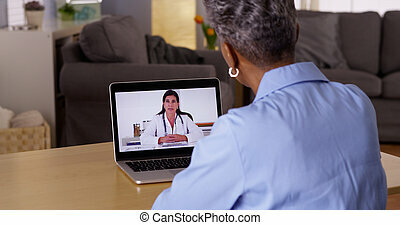 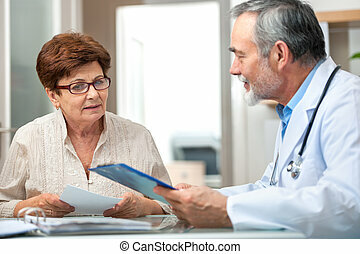 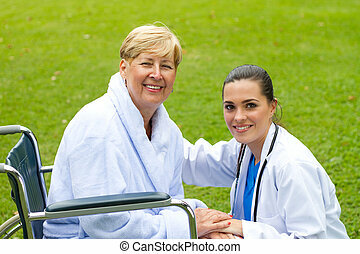 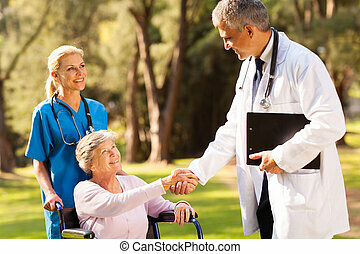 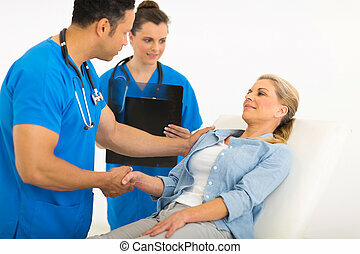 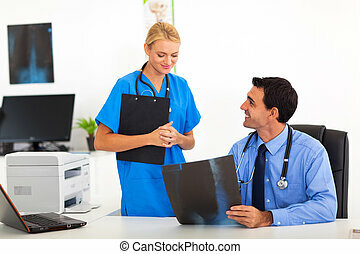 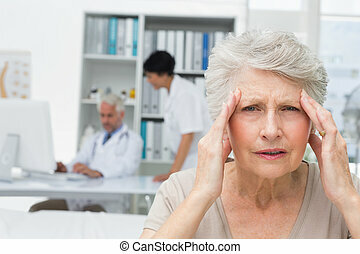 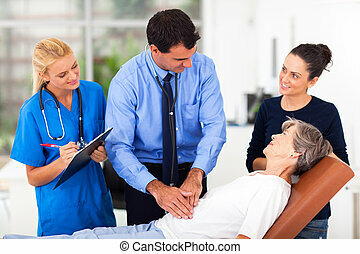 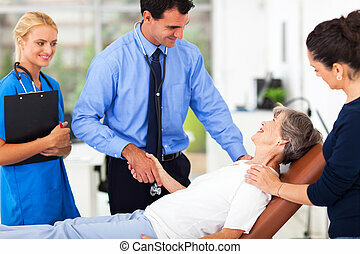 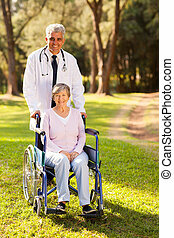 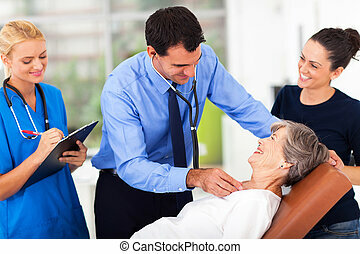 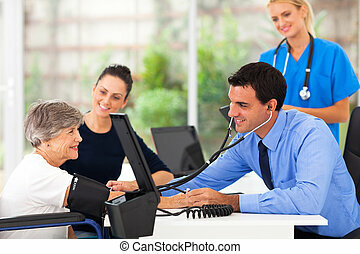 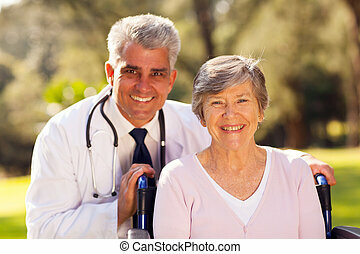 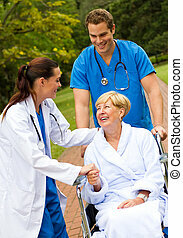 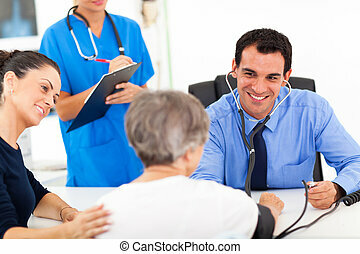 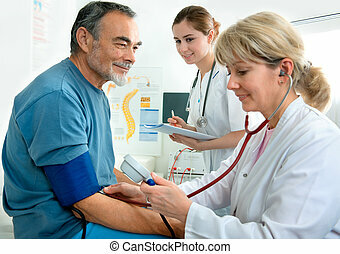 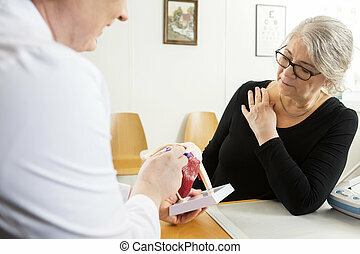 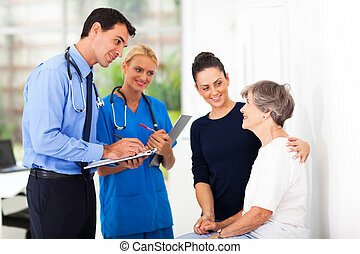 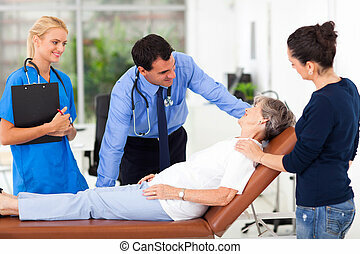 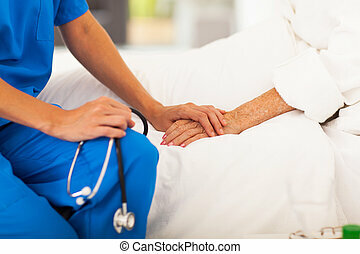 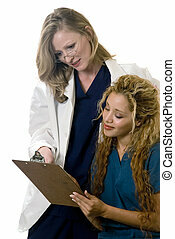 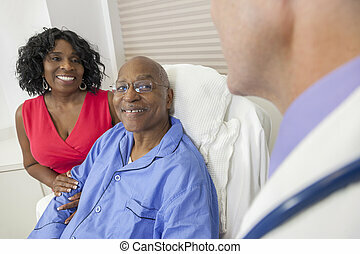 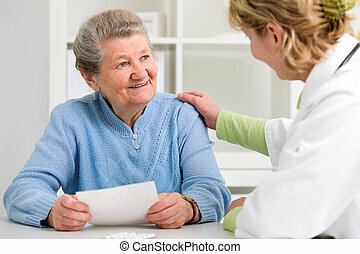 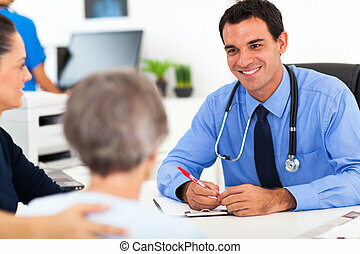 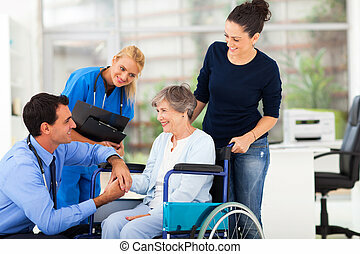 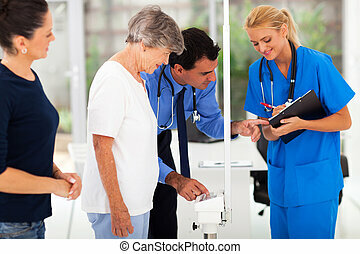 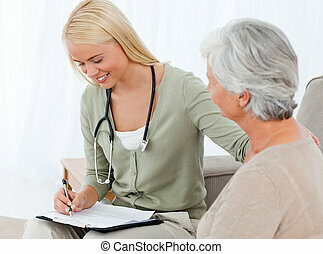 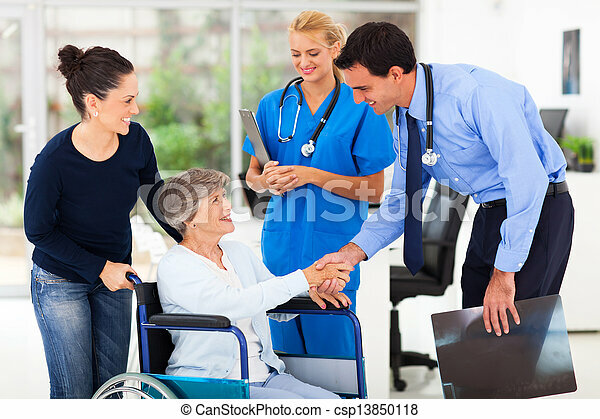 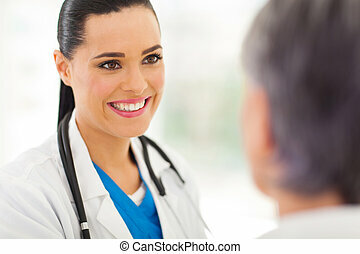 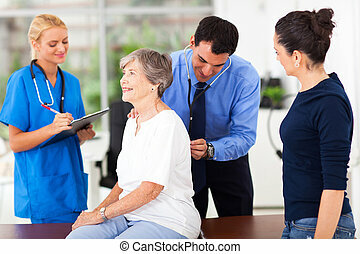 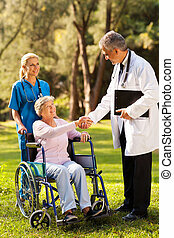 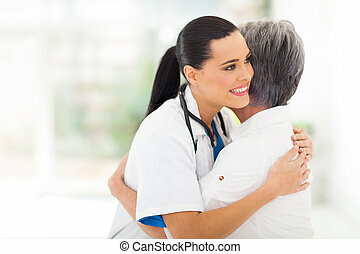 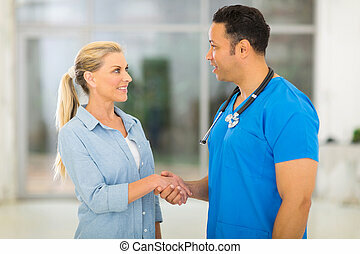 Friendly medical doctor greeting senior patient. 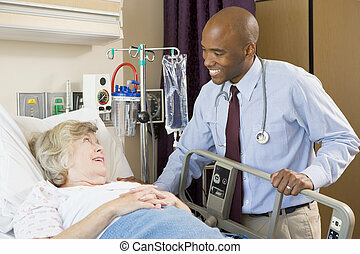 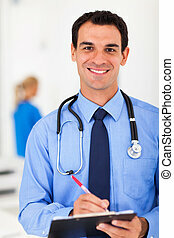 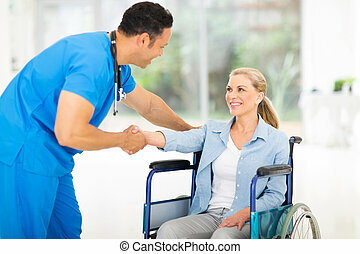 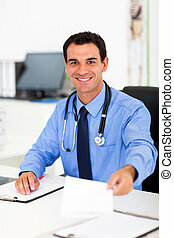 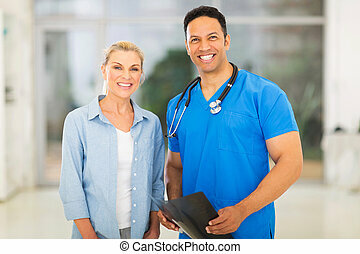 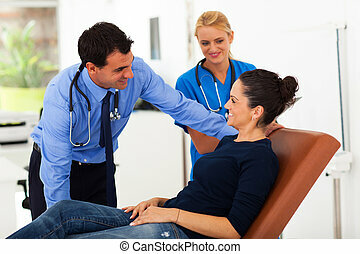 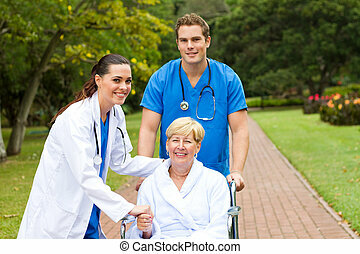 Friendly male medical doctor greeting senior patient. 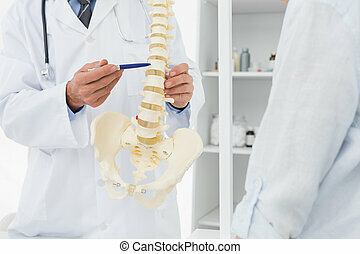 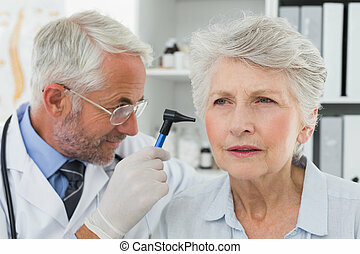 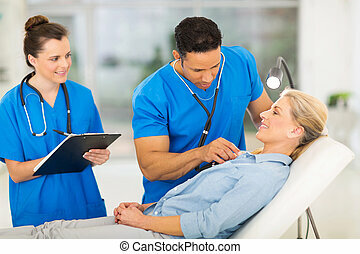 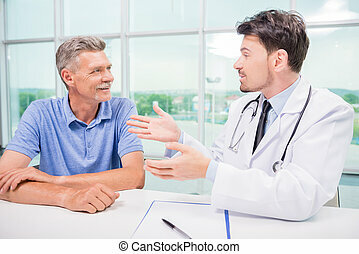 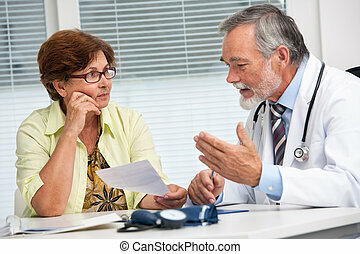 Male doctor talking with patient seriously at clinic.